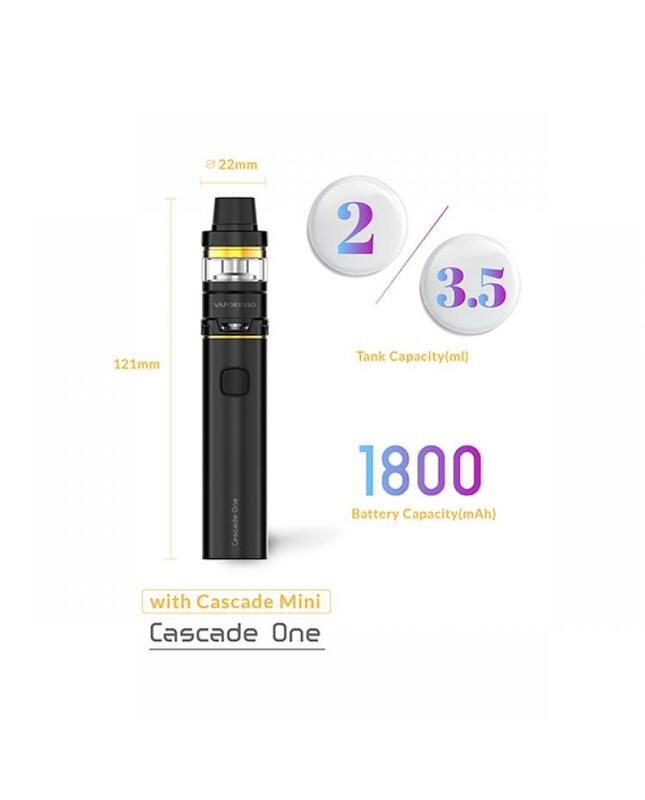 Newest vaporesso vape pen cascade one includes cascade mini tank and cascade one battery. 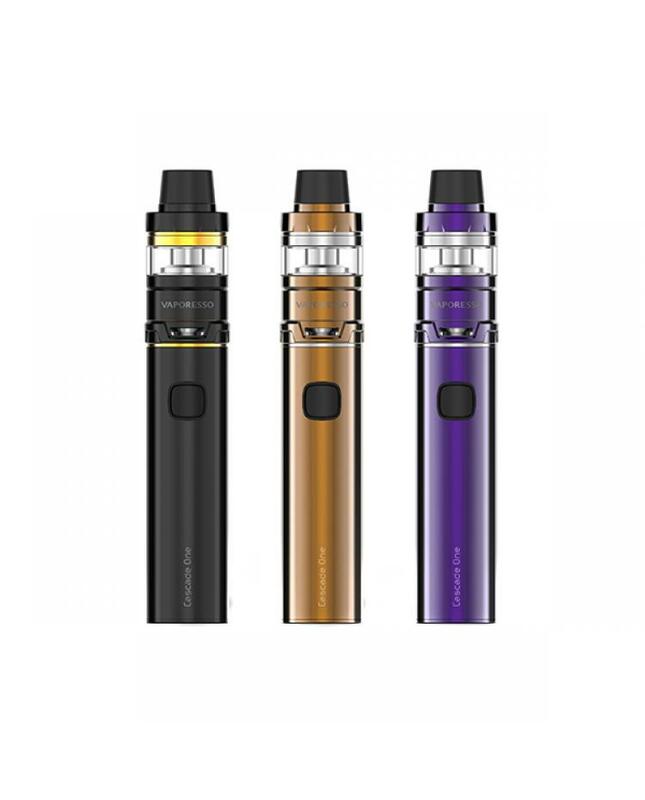 6 colors available, the tank can hold 3.5ml e juice, top refill and bottom airflow adjustable designs, the packing comes with GT mesh coil and GT ccell 2 coil heads, the GT mesh coil with unique triangular airflow structure, enlarge the heating area, will produce great flavor, the vaporesso cascade tank with unique isolation structure, separates the coil and juice chamber, allowing consistent, intense flavors with every puff, reduces dry hit potential and extended coil life. 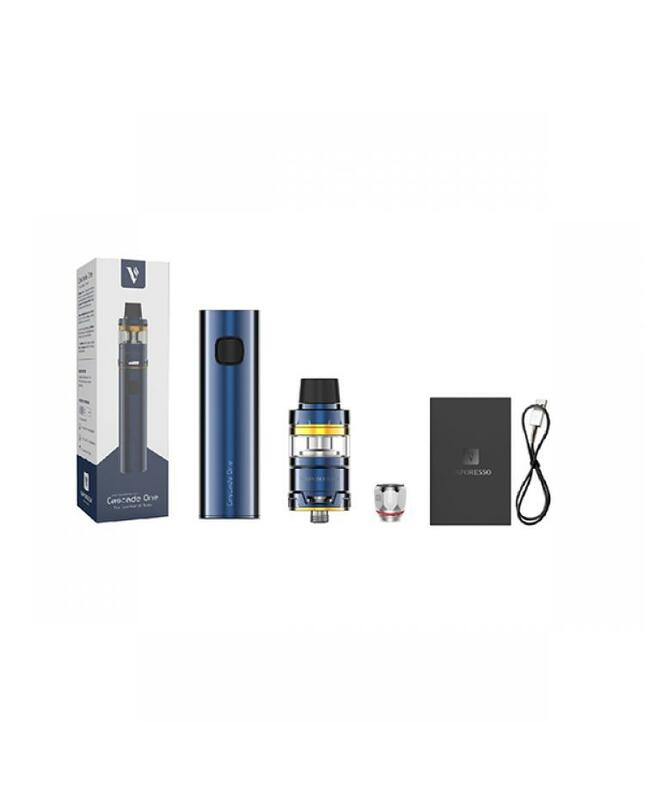 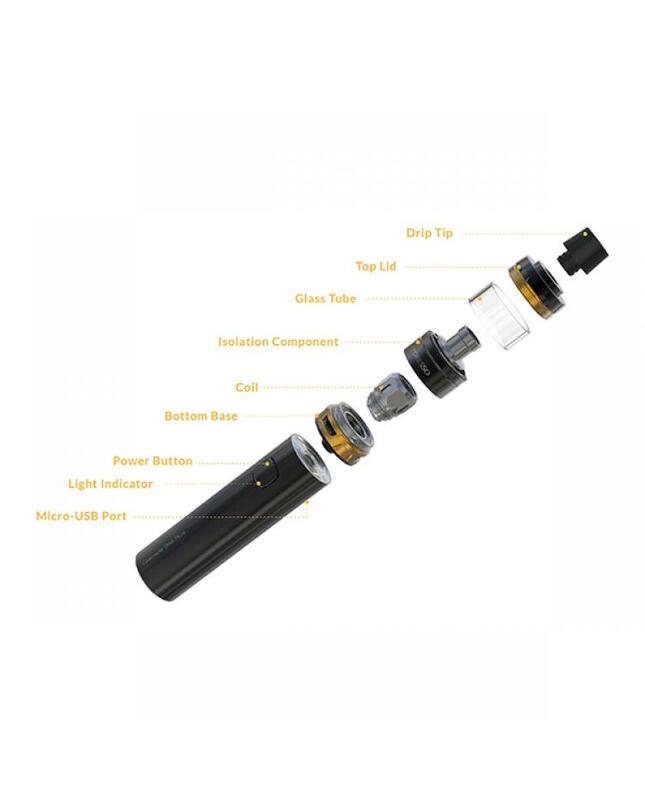 the cascade one plus battery built-in 1800mah battery, built-in most advanced regulated chip to ensure high performance and product safety, multiple functions to ensure vape safe and reliable, the 2A quick charge system allow the new vaporesso vape pen can be charged fully in 1.5hours.